The Pack News Wire is off the charts for breaking news out greyhound racing – in the US and overseas. Of course, in the United States we are getting legislative reports that bring hope that we might see at least the decoupling of dog racing from casinos. If casinos in states like Florida and West Virginia are allowed to drop dog races, we could see a substantial number of tracks shut down. This would be great news for the dogs. 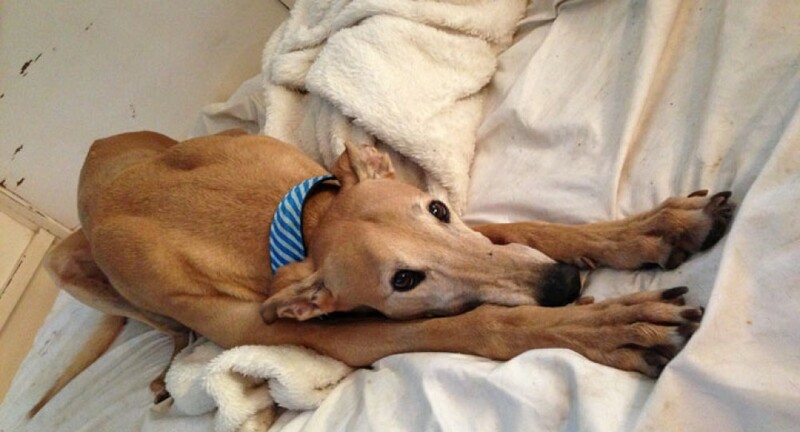 A WUSF article from Feb, 13 quoted David Bishop of the Florida Greyhound Association. He challenges the extremely troubling findings of the new report published by GREY2K USA and the ASPCA. He is wrong about the report, but I hope his prediction comes true very soon. Rep. Jared Moskowitz (D-Coral Springs) of Florida is a proponent of decoupling and he was joined by Republican Representative Matt Gaetz at a news conference this week. Hopefully, they can introduce at minimum a decoupling bill right away. And then there’s Jack Cory, who the Times-Union quoted as a lobbyist for greyhound breeders and dog trainers. I don’t gamble at all and don’t even buy lottery tickets. But that’s another strong case for banning greyhound racing. Let people bet on cards dice or machines. We continue to see more news about ending dog racing in West Virgina, where a new report shows what a loser the industry is on an economic level in the state, as it is in Florida. In Australia, the news is nothing short of disgustingly cruel. The Sydney Morning Herald reports more than 20 greyhound owners and trainers have been suspended for using live animals as bait and lures for training. After the raids on the sites, it is alleged that live rabbits, piglets, lambs and poultry were being used in the barbaric training. This industry has a long history of animal cruelty and in recent years, despite new reports such as this, the insiders want us to believe things have changed. The Courier Mail out Australia reports Racing Queensland has created a task force to address the reports of live baiting and other acts of cruelty. ABC Four Corners is set to broadcast a report this weekend titled – “Making A Killing.” The article suggests the piece will expose the “gruesome underbelly’’ of greyhound racing. Here we are in 2015 and every time new reports of cruelty, drug use and cheating come out of dog racing, its defenders act as if it’s something new. And in this case, somehow they decide that it’s finally time for an investigation. Another trainer in Australia is under investigation for allegedly shooting and killing two of his racing dogs. The Pack News Wire has been buzzing of late with news concerning greyhound racing. Much of the focus has been on the free-fall in attendance at tracks across the country and legislative efforts to either decouple racing from the casinos or end subsidies. But some of the news goes into the strange mentality of those who either support racing or can’t see that trimming around the edges of the issue won’t help the dogs. In Iowa, the Iowa Greyhound Association and the Iowa West Racing Association are reportedly requesting millions from a supplemental fund. I wonder if the racing dogs will receive any aid from this fund. The deaths and injuries continue, with the only real relief coming in the form of a ban on greyhound racing. In Idaho, a challenge is underway concerning the Post Falls Police Department’s investigation into what are known as instant racing machines. So there’s seems to be a controversy about gaming machines while not enough is being done to investigate the needs of the dogs in live racing. And finally, we have the racing defenders who are battling against efforts to end dog racing at casinos, because it could lead to more gambling. Yes – that’s right. Dog racing supporters seem to be against other forms of gambling. I guess cards, dice, machines and sports betting is really, really bad. But the dog racing folks feel like exploiting animals is the most righteous form of gambling. That’s warped on a grand scale. Over the last few years, I’ve read similar statements, suggesting somehow that casinos with racing are fine. But take away the dogs and gambling is somehow tainted to a greater degree. Again, this argument just defies reason. I’m not a gambler. I don’t bet on games or even lotteries. So while I’m not a supporter of casinos at all, I’d much rather have people betting on pro sports or tables or machines.